For more than 50 years, Briarcliff has been the number one apartment community in Cockeysville; known for having an extensive list of features, amenities and community firsts. Briarcliff is the first apartment community built in Cockeysville to feature all-masonry construction, the first to provide full-size washer and dryers in every unit, the first community with Verizon FiOS and now, the first community to offer limited-edition luxury apartments. We are also privately owned and locally owner-managed. As a privately owned and managed company, we pride ourselves on our efforts to maintain your apartment and our community as one of the most desirable locations in Cockeysville and Baltimore County. Our community includes one, two, and three bedroom apartment homes, many with dens. Briarcliff provides you with superb amenities and features including the most spacious floor plans in the area. Our goal is to provide you with unsurpassed and continuous comfort, convenience, and service that cannot be found in any other apartment home in our area. If you need a comfortable and convenient apartment home with easy access to Baltimore and the surrounding metro region, look no farther than Briarcliff Apartments. Thanks to the 8" solid concrete masonry construction surrounding every apartment, the walls of Briarcliff Apartments have a Sound Transmission Class (STC) Rating of 64 decibels. Federal Housing Administration (FHA) requires walls of 50 decibels. Briarcliff Apartments surpasses this requirement, making the units virtually soundproof and fireproof. With 852 units, Briarcliff Apartments offer a variety of cosmetic features differentiated by trim level. The Legacy Apartments are the most updated units with limited availability featuring an open floor plan, smudge-proof stainless steel appliances, granite countertops, new maple cabinets, designer tile and lighting, a double kitchen sink, and a kitchen island with counter-top seating and pendant lighting. 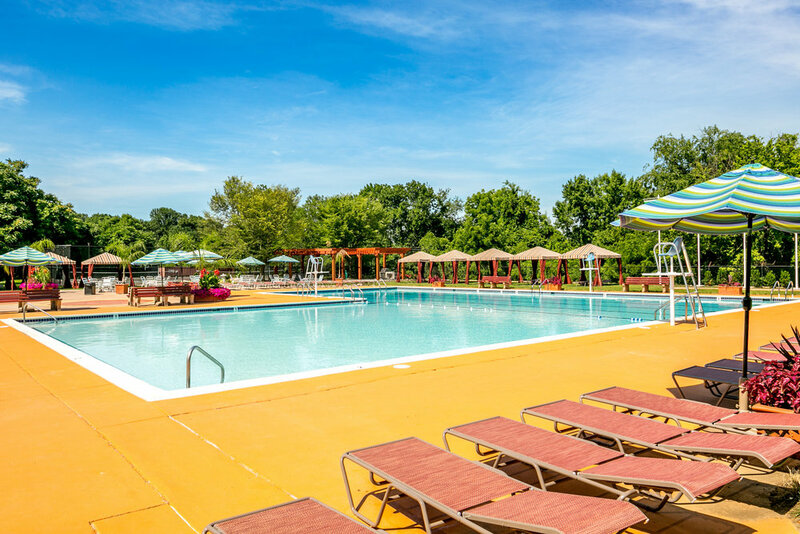 Our residents lounge in luxury at the brand new resort-style Briarcliff Apartments Pool Club! As a resident of Briarcliff Apartments, you'll enjoy a luxurious vacation feel without having to leave home. 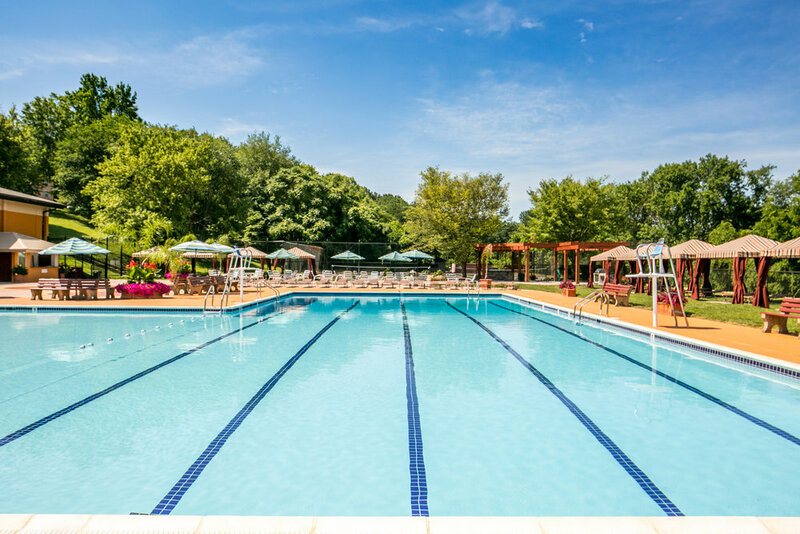 Take a dip in our Olympic-size swimming pool, cool off in our custom-made splash pad, entertain guests at the spectacular grilling area with stone surrounds and sinks, relax in our private cabanas, and get to know your neighbors in friendly games of shuffle board and ping pong! Enjoy the serenity of your virtually soundproof apartments while you study, and take advantage of the Towson University Off-Campus Shuttle Bus Service, with Stop #42 conveniently located steps from your front door at the Cranbrook Shopping Center.